Acid Reflux, or Heartburn, or Gastric Reflux, or some other name saying “acidic reaction in the esophagus,” are all similar problems caused due to same issue in stomach lining. When the bile juice/stomach acid gets struck in digestive system, it creates a burning sensation in the food pipe-lining. There is a slight difference among the causes of these diseases but the whole details of the problem we are addressing today are the symptoms of Gastroesophageal Reflux Disease. This is a severe problem that isn’t considered in the mainstream world as a serious disease. This made a half of American people suffer from this problem, which is damn too high! The acupressure points to relieve acid reflux or heartburn symptoms are ready here for the quickest relief alongside with few heartburn remedies at home. We shall explore a bit into the scientific things of what causes acid reflux, acid reflux treatment with foods and home remedies in a ‘short-note’ style. Though the presentation is entirely dedicated to “acupressure points” for heartburn relief, the useful points about food habits become handy while you also try alternative medications like acupressure, or reflexology, or any other heartburn remedies at home. These 8 gun-points trigger acid reflux symptoms in the first place. Tight Clothing may also cause stomach acid pushed towards the esophagus. Thus, be aware of what’s happening with your body and try to spare a useful time for its regulation. That’s all enough for curing any disease at initial stages. Now, learn the ways to treat this pressure points with the practically proven the best- Acupressure Treatment. Here is the list of top 7 acupressure points to cure heartburn symptoms and get you a quicker cure for heartburn without looking for any medical ingredients. 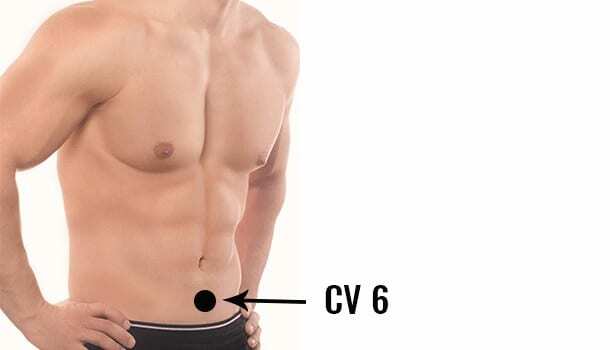 The Conception Vessel(CV) 6 is known for its treatment of digestive issues like bloating, constipation, gastric effect, etc. The location of this point is an inch below the belly button. As the point is in a sensitive region which may not be able to handle sharp pressure, use a palm to make circular motions on this point. Massage the point continuously for a couple of minutes while taking deep breaths. Do this three times in a day for assured results. CV 6 is also known for curing menstrual disorders in women, abdominal pain, impotence, asthma, etc. With the activation of life energy in the meridians, heartburn gets relieved in the process of regulating the hormones and digestion process. Location of this point is too obvious to treat acid reflux symptoms. It is observed below the breastbone, right at the middle of the line joining breastbone and belly button. It can cure severe problems like gastroenteritis, menstrual bleeding, diarrhea, gastric ulcers and also many simple yet irritable problems like constipation, vomiting, loss of appetite, abdominal muscular contractions and spasms. If you are sensitive to heart, blood pressure fluctuations, do not use this point because the firm pressure increases the stress on the heart which is a severe threat. Apply soothing, gentle pressure on this ‘Middle Cavity’ point, preferably with an empty stomach. By taking deep breaths, apply the pressure on the point for a couple of minutes. This point is best known for relieving similar problems of heartburn symptoms like nausea, motion sickness, headaches, and many inner organ-inflammations. The point is on the inner wrist of both the hands, 2 inches straightly below the wrist line. Apply pressure using two or three fingers for firmer treatment. Use your pressing hand from both sides so that the meridian becomes active for energy flow with a great effect. P 6 clears chest congestion, asthma, malaria symptoms, dizziness, hiccups, vomiting, epilepsy, etc. There are a lot of health issues surrounding digestive health and imbalances in the diet. Every problem has treatment with acupressure, and every problem is somehow relieved with this three-mile point. ST 36 can release the stagnated energy through the meridians and relieve you from many problems. The problems cleared with ST 36 can make a long list. It can cure your cough and asthma, knee joint pains, loss of appetite, dizziness, insomnia, and also neurological problems like madness, psychosis. Coming to the cure for heartburn, we can get heartburn relief, gastric pain relief, PMS symptoms cure, etc. Location of this point is below 4 finger-widths of the knee cap on both the legs. The point is located in the outer radial curve at about 1 cm away from the knee bone. Apply firm pressure with finger tips on both the legs for a short time(about 10-20 seconds). SP 4 is a peculiar point that works on various important aspects even though they are limited in number. Acid Reflux remedies fall short before this enormous natural treatment of SP 4 point. Spleen is located in the arches of both feet from inside, located 1 inch above the base. This point can cure heartburn symptoms along with many problems viz. ovarian cysts, chest pain, stomach pain, other symptoms of GERD, indigestion, etc. 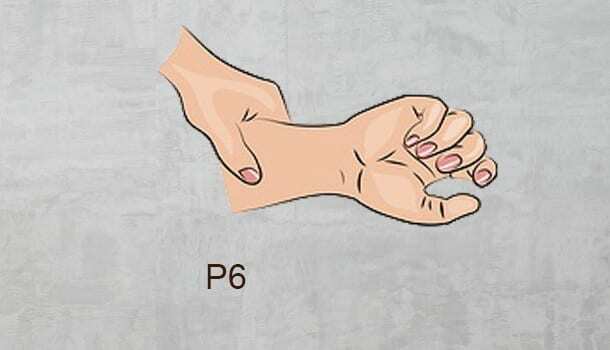 Use two fingers to apply pressure on the pressure point. Press the point for 1 minute firmly. Acid reflux treatment at this point is seen to be quicker than the other points. Not just for stomach acid problems, but we can cure bowel diseases with this point successfully. 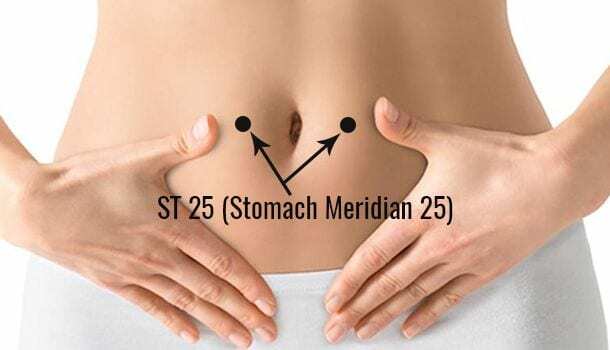 ST 25 can cure diarrhea, borborygmus, abdominal and navel pain, dysentery, incomplete digestion, etc. The point is useful for regulating spleen, intestine, irregular menstruation. It is located on both sides of the navel, an inch offset to the center. Be careful while applying pressure to the point as it is also in the sensitive abdominal region, which may cause severe problems if proper care is not taken while treating acid reflux or any other disease. Liver 3 is an interesting point to cure various health issues. We can get relief from diarrhea, constipation, vomiting, nausea, eyesight defect, dizziness, chest congestion, anxiety, and insomnia. 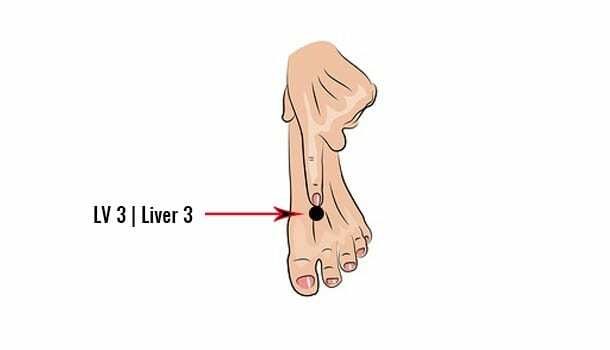 The point LV 3 is located on both feet, in the depression of joint of first and second toes. Menstrual issues and liver functioning are major benefits of this particular point. With this list of acupressure points for acid reflux and heartburn symptoms cure, there is no need of other heartburn remedies to try. Use just one acupoint for the treatment throughout; it will surely cure the problem for you. A small ‘short note’ on foods that give an effective cure to heartburn is here. What Foods to Eat with Heartburn Symptoms? Be conscious of the food you eat, no matter what. Heartburn is a huge digestion-dependent reflex of the body where the importance of body functionalities are beaten by the dietary patterns and food habits. Thefitglobal Team always insists on the same thing every time whenever the importance of food is observed. That is why foods are highlighted in a seemingly irrelevant context, i.e., alternative therapy for the disease. When the root cause of the problem is in here at foods and fruits, it is equally important like any treatment to mention the tips on foods. It is not just enough if we get through this pattern of foods, but we must satisfy the nutritional requirement for the body. We also have to manage hunger and unwanted cravings consciously. For this, healthy and timely meals with above restrictions will get you out of the problems of heartburn symptoms. What’s the Best Pick? 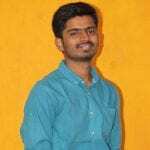 Foods Or Acupressure? Suggestion of foods for heartburn cure includes many potential foods for our overall health too. At the same time, acupressure solves the problem to a great extent without much effort. The serious issue here is that the already damaged tissues of the stomach/stomach lining can’t get better if the acupressure is the lone warrior chosen. Moreover, the health problem is not to cure anything that lacks foods/nutrients but lacking directly the food. When the gateway of our body(digestive system) is in the serious need of ingredients without which it calls for a volcano inside the stomach, we cannot risk ourselves by not considering foods anymore as a remedial step. The acupressure, a scientifically unscientific science from China, leads you to a great health by activating the life energies through the meridians in the body. There is not proof for this treatment to show it in physical terms that it works. But, there’s no proof as well to show an alternative way why this technique works every single time. Opting for acupressure is a better option if not you are pregnant, diabetic, and a preteen. And there will be no purpose served with acupressure for acid reflux if you have been facing it for years long as it would definitely have developed a serious threat inside your body. However, all this will be decided by your doctor. Only after his/her advice, start with a home treatment. Any of the home remedies never fail upon their flaw but with our ineffective skill to apply on ourselves. Good luck anyway! Here is a complete picture on all the 7 pressure points for acid reflux & how to apply pressure on each point. 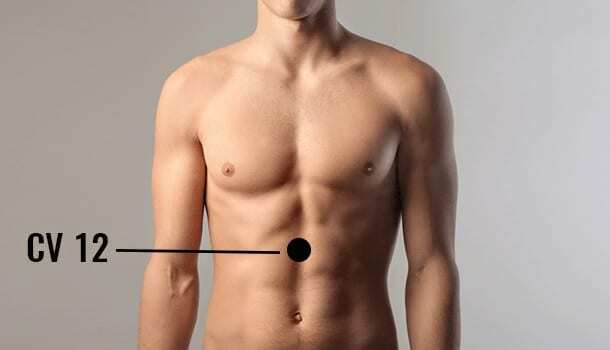 You can try locating these points on your body and try acupressure for acid reflux.